Jelly Belly® Sunkist® Fruit Germs are individually wrapped soft fruit candies that are made with real fruit juice. Delicious, gluten, and peanut free. 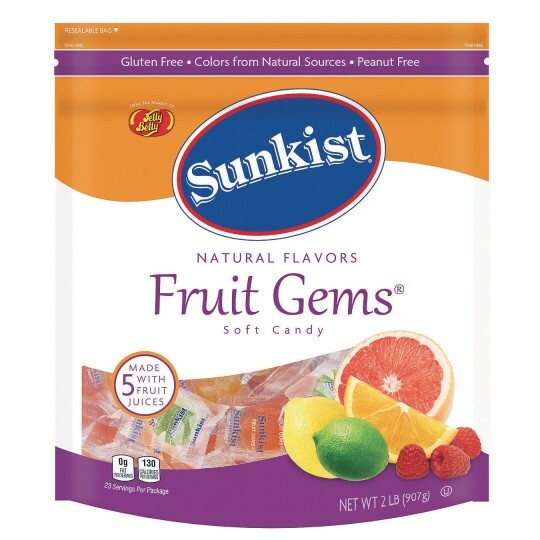 Fruit Gems are made in the USA with non-GMO ingredients, colors from natural sources and five intense fruit juice flavors including Orange, Lemon, Pink Grapefruit, Raspberry, and Lime. Approximately 90-100 pcs per 2lb bag.